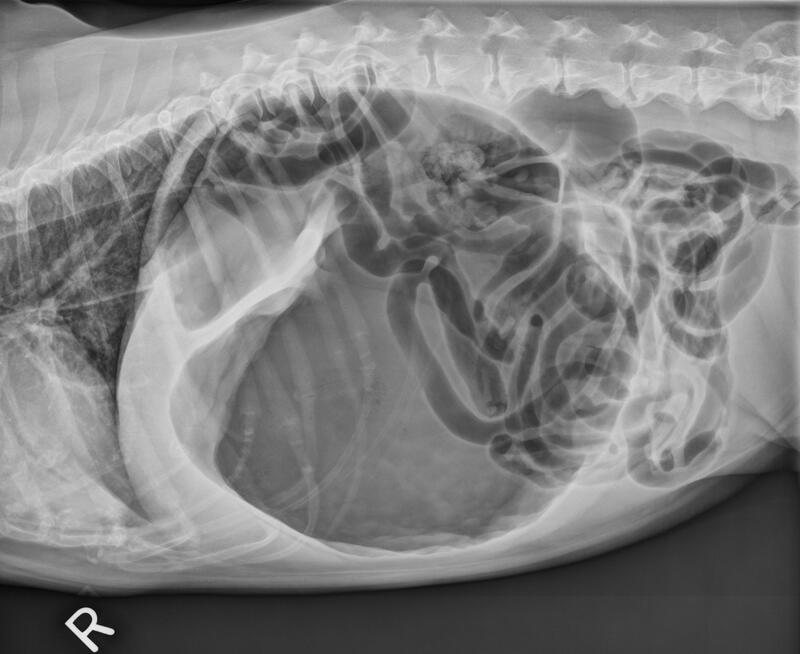 Gastric dilatation and volvulus (GDV) is a potentially fatal surgical disease that may result in both local (gastric and splenic) and systemic consequences without immediate medical stablization and surgical correction. Management of hypovolemic shock and restoration of perfusion is the initial medical goal. This is often accomplished by placement of two large bore, short gauge cephalic catheters along with aggressive fluid crystalloid therapy. Emergency therapy also includes decompression of the stomach (e.g., either by trocharization or orogastric intubation and lavage). Ultimately, once medical stabilization and important diagnostics are performed [e.g., blood work, point-of-care testing (e.g., lactate), and radiographs) ruling out concurrent disease, surgery is required. The immediate aim of surgery is to return the stomach to its normal position, evaluate the stomach for signs of necrosis, and evaluate other organs for signs of secondary ischemia and damage such as the spleen. For definitive treatment, a gastropexy is performed in an attempt to prevent recurrence of the volvulus. Post-operative management of GDV patients includes continued IV fluid therapy, electrolyte monitoring, anti-emetic therapy (for patient comfort and to minimize risks of aspiration pneumonia), acid blockers, analgesics, and potentially gastric prokinetics. 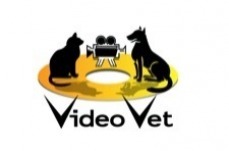 In this video by VideoVet, board certified surgeon, Dr. Howard B. Seim III, DACVS, reviews the surgical evaluation and correction of the GDV patient. Loved the video? Comment here and tell us! 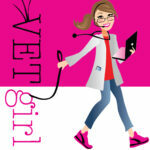 Check out more great content from VideoVet and see their whole surgical catalog HERE! Great video, some editing issues re the circumcostal pexy? Thanks for taking the time to make & post this.